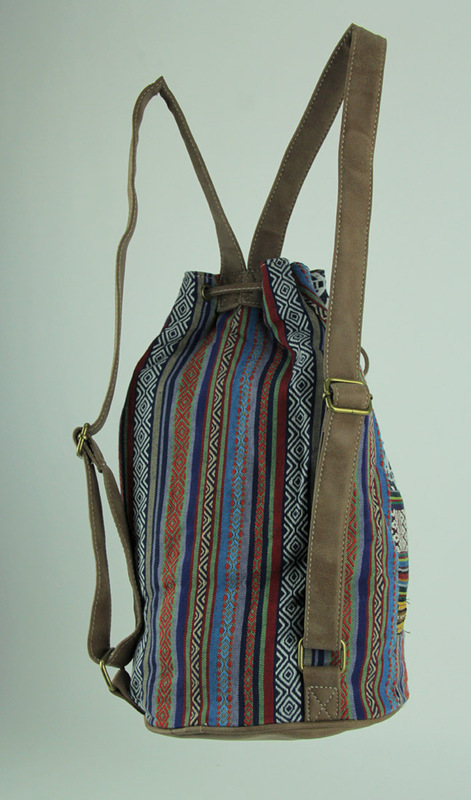 Match your on-the-go look with the stylish functionality of this tribal striped triangle print bohemian backpack. The utilitarian canvas and woven fabric construction offers a single compartment with plenty of space to hold a variety of items, and the cinch-top holds it all inside. The zip pocket inside lets you stash your keys and phone in a convenient location that is handy to reach, and the shoulder straps adjust to give you a comfortable fit. This 14.25 inch deep, 8 inch diameter boho backpack is a versatile bag you can carry anywhere, and the only thing missing is you.